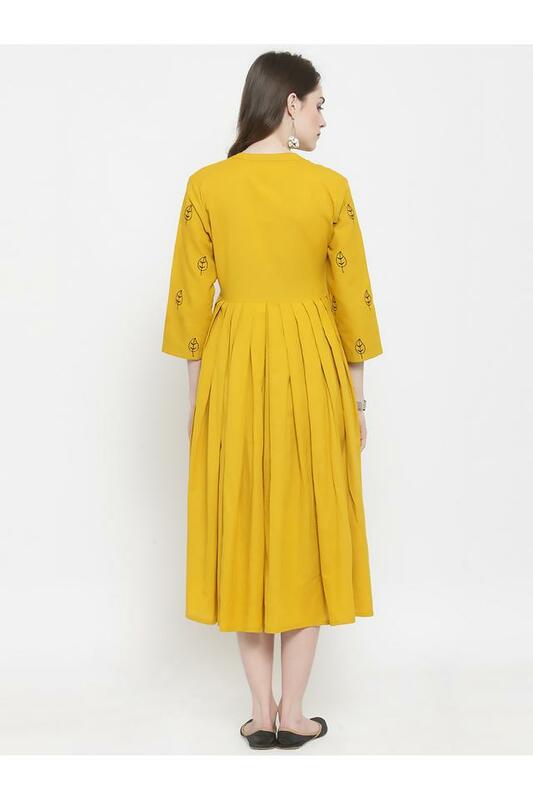 Putting the finger on the pulse of every fashion lover of today, this midi dress has been designed to perfection by the popular brand, Varanga. It has three quarter sleeves and also comes with a solid pattern that lends it a trendy look. Besides, it promises to provide you with comfort as it has been crafted from premium quality cotton flex fabric. Embrace the latest trend in fashion by wearing this midi dress with a pair of heels for any casual occasion. It features an embroidered detailing, which is the main attraction.